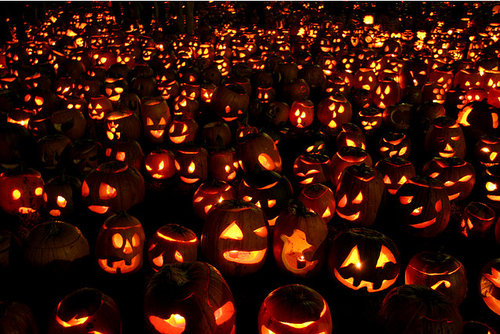 Halloween - I am a Halloween fiend, or at least I used to be. In college we never, ever decorated the house for Christmas - ever! 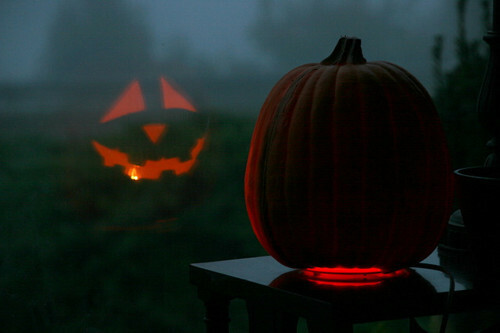 But we always decorated for Halloween - always! Our mid week party was a 'no costume, no entry' affair where mid-night costume changes were not unheard of. This year sees us with no house to decorate and all of the Glensiders scattered to the four winds. Halloween will never be the same. Glitter nails - My toe's look like a Wizard of Oz extra. 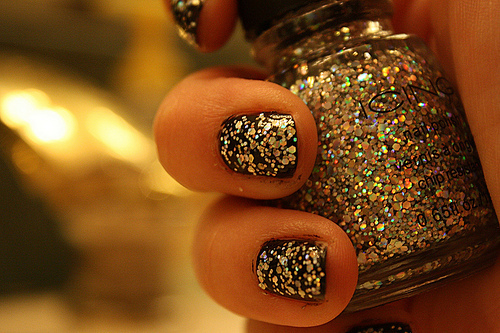 I love, love, love it - a little bit of sparkle in my otherwise boring day. It's amazing how a little bit of sparkle - in your makeup, your outfit or accessories can just lift your mood. I even ordered a lemon cupcake at Sweetie Pies last weekend that had glitter all over it. 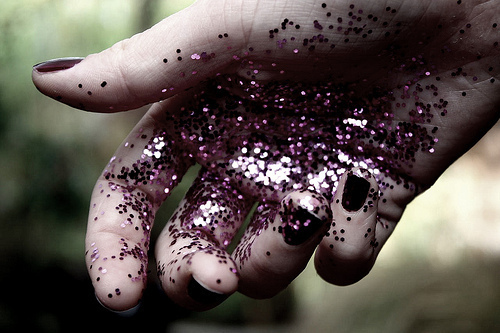 What's your favourite way to add a little sparkle to your day? 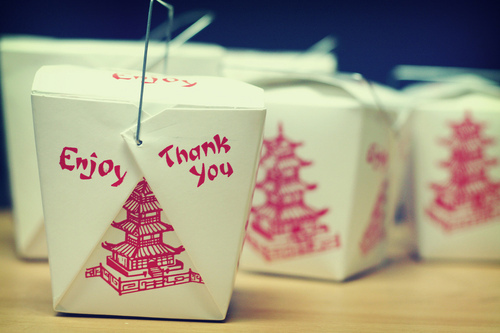 Chinese takeout - This Friday night will be spent in the company of great friends and wonderful food. We don't do takeaway at home, we never have. No Indian, Chinese, pizza, nothing - just wholesome home cooked meals. So I'm going to sneak over to S&C's for a little dim sum and noodles to celebrate both S and I getting through our vivas. 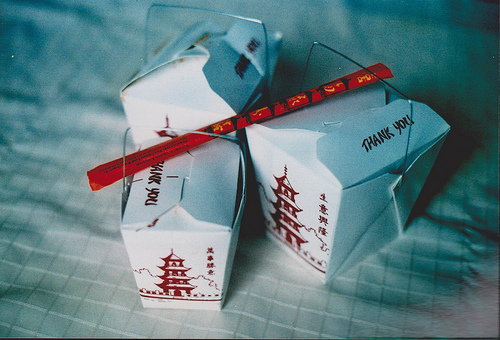 My favourite takeout will always be Chinese or Thai. 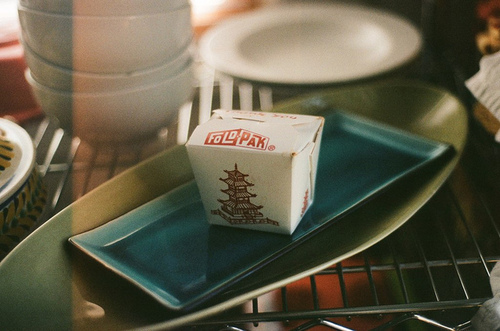 I just wish that we could get it in those gorgeous takeout cartons. What's your favourite?